It’s been an exhausting week of headlines and scientific theories surrounding Jon Jones and his latest USADA drama. It was revealed this past Sunday that Jones’ December 9 drug screen presented an “abnormal” finding. The word picogram has been thrown around a lot, and UFC vice president of athlete testing and health Jeff Novitsky did his best to explain what happened. Whatever the case, the entire event was moved from Las Vegas to Los Angeles on six days notice. That massive shift has been met with an equally large backlash from the MMA community. The UFC 232 press conference went down last night, suitably fraught with heckling fans and Jon Jones explaining his latest drama. 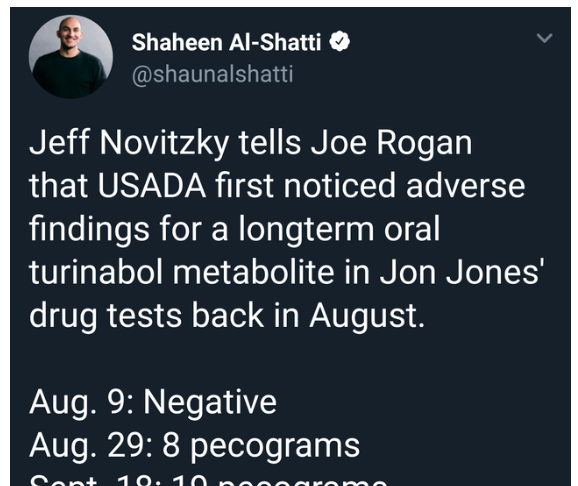 One interesting point to note here, on September 29, the UFC announced they would no longer be announcing drug test issues until they were completely resolved. Seems innocent enough, as constant news of fighters being flagged but later being proven innocent, in some cases, did nobody any favours. So, we thought, here was an opportunity for “Bones” to repair his public image, but we were wrong. In a segment of the press conference that the UFC appears to have edited out of the full video posted on Youtube, Jones shuts down a reporter who asks a legitimate question about his drug test history. Well, that didn’t look shady at all. With Jones basically refusing to answer the question, acting like a child, and the UFC then appearing to edit out the footage, nobody comes out looking clean. Should we just stop asking about Jones’ steroid tests and get on with it?